Berdaguer & Pejus, Gue(ho)st House, Delme, 2012. 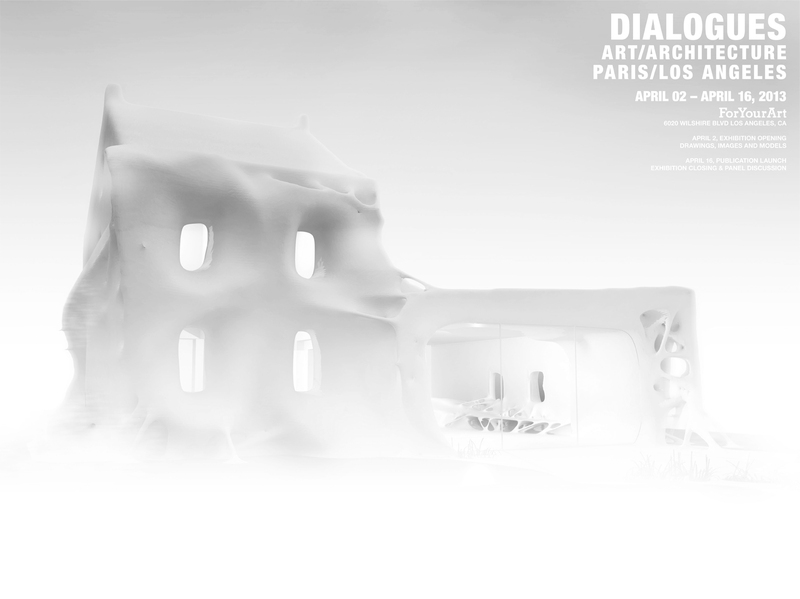 Dialogues, the series of conversations between architects and artists that took place at the MAK Center in Los Angeles over the last couple of months, is finishing up tonight with an exhibit of the designers’ work. The show features drawings, images, and models from a serious lineup at For Your Art on Wilshire Boulevard. Contributors include: Doug Aitken, Barbara Bestor, Escher Gunewardena, Fritz Haeg, Jorge Pardo, Linda Taalman, Xavier Veilhan, Pae White, Peter Zellner, and many many more. The show will be up until April 16.